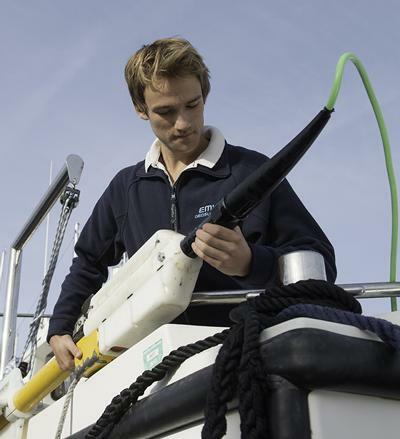 Tristan Pridham studied MSci in Geophysics within Ocean and Earth Science, National Oceanography Centre Southampton at the University of Southampton. This course helped me prepare for employment by tailoring certain modules to be nearly identical to the work I now undertake on a regular basis. I studied an MSci in Geophysics, graduating in 2011. I choose Southampton because of the worldwide prestige held by the National Oceanography Centre. I received a job offer from EMU Limited shortly before graduation. I now work for them as a Marine Geophysicist. I use a wide range of aspects of my degree in my job - from processing geophysical datasets to interpreting them using all the background geological knowledge taught to me at university. I thoroughly enjoyed my time at Southampton and one of the memories that really stands out for me is my first time in the National Oceanography Centre; it is a fantastic building and a privilege to work in. Then of course there are all the memories shared with all the great people I met on the way to graduating. The University helped me prepare for employment by tailoring certain modules to be nearly identical to the kind of work I now undertake on a regular basis. The assignments and module theory are closely linked to the daily tasks and training I have received at EMU. My advice to any current student wishing to gain an advantage would be to apply early. The university is great at organising visits from potential employers, all eager to harvest your talents. Go to these visits, hear what they have to say and hand out a CV. Summer internships are also a fantastic way to get ahead, with many companies having a surplus of work in the summer months.